Sweden’s Olympic champions made a faltering start to the World Women’s Curling Championships at Silkeborg in Denmark today as they lost 9-3 in their opening round robin match to China - but normal service resumed in the evening’s second session as they beat Latvia 8-5. There was an opening shock too for a Canadian team skipped by Chelsea Carey - defending the title won last year under the direction of Jennifer Jones - which lost a dramatic opening match against a new South Korean team 7-6 at the Silkeborg Sportscenter. Skipped by Kim Minji, the Korean team tipped a match where the lead swapped several times by scoring three in the penultimate end to regain the initiative at 7-6. Despite having the hammer, Carey was unable to score on the final end as Minji produced a couple of inspired shots. 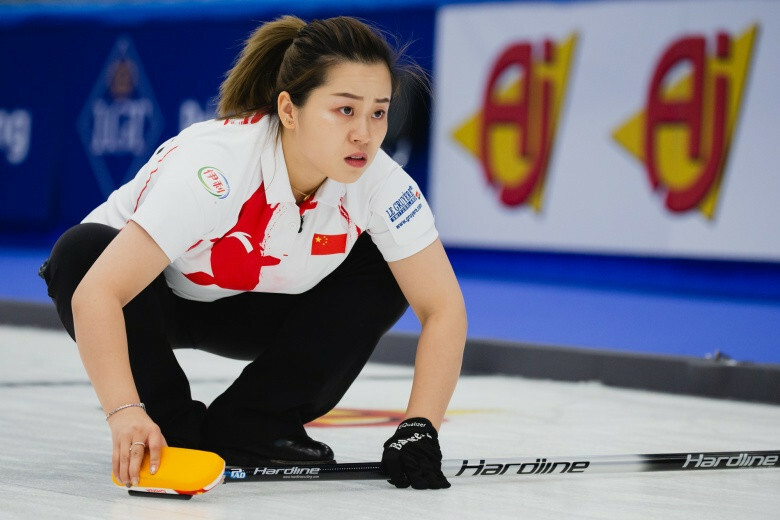 The China team skipped by Jie Mei, making its first appearance at this level, started sensationally against Anna Hasselborg’s Pyeongchang 2018 gold medallists, who lost 7-6 to Canada in last year’s World Championships final. China established a 4-1 lead, and although Sweden pulled back to 4-3 after five ends, when Hasselborg drew her final stone into the house to score two points, that was as close as they got. "Team Hasselborg is a really good team and we feel very happy to have won this game," said Mei. "It doesn’t mean that we’re much stronger, it just means that we want to have more opportunities to play games like that. "We’re a young team, but we’re making progress and we hope that we can develop." The second session was full of tension and drama, with Switzerland earning a narrow win over Finland and hosts Denmark beating the United States 8-6 on an extra end after the scores had finished at 6-6. In the other opening session matches, Russia beat Switzerland 11-5, Scotland lost 10-4 to Japan, and Germany beat Latvia 10-5.